Divyanka Tripathi wore a belt that had the same 'tiger' detail that belongs to Sabyasachi's signature collection. 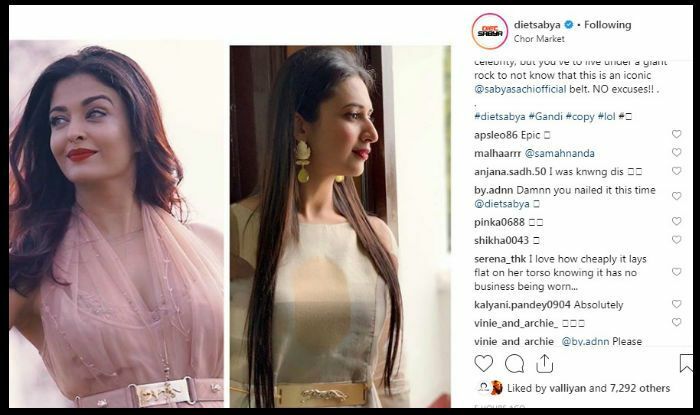 What is striking is what Divyanka commented on the post. The actor apologised for not being careful with her pick of the belt. However, she slammed the handle for being unnecessarily rude to her. She wrote, “My genuine ignorance maybe a big fashion crime for you…but you guys definitely have the guts to be rude to another level.  Thanks for pointing out the mistake. 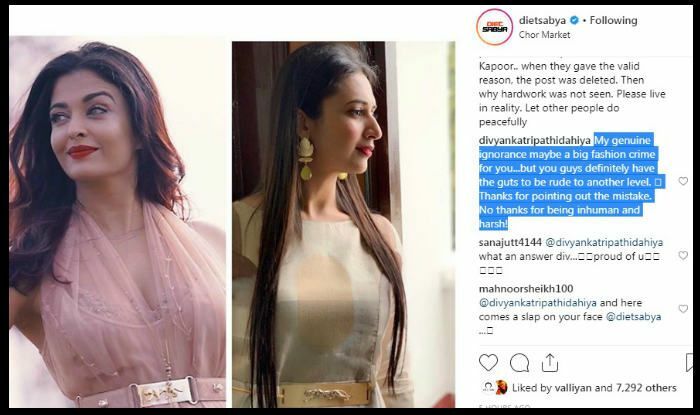 While the handle is appreciated for keeping an eye on the ‘copycats’ of the industry, it has also faced backlash for being too harsh in its posts. 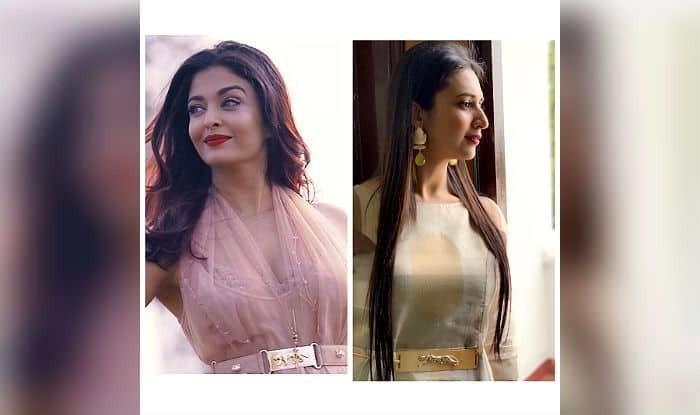 In fact, actor Sonam Kapoor and her sister Rhea Kapoor criticised the handle for trolling their designer friend Anamika Khanna by alleging she copied the ‘AK-OK’ detail of her latest collection. Sonam even dedicated an entire post revealing that Anamika found strength in her difficult times from what her sons told him. 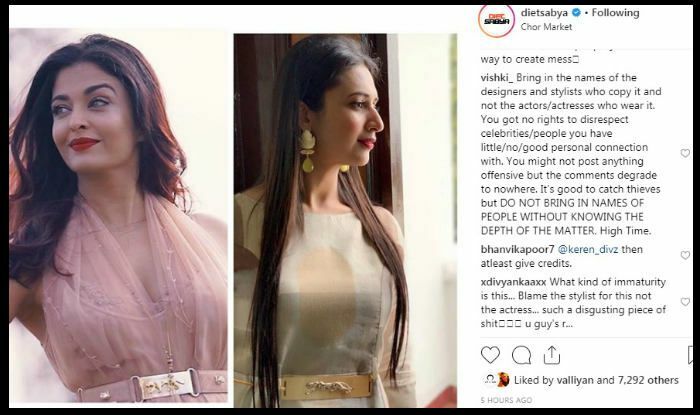 Soon after her post, the handle removed the post blaming Anamika of copying someone else’s design.